on or around the date 1938-1945. 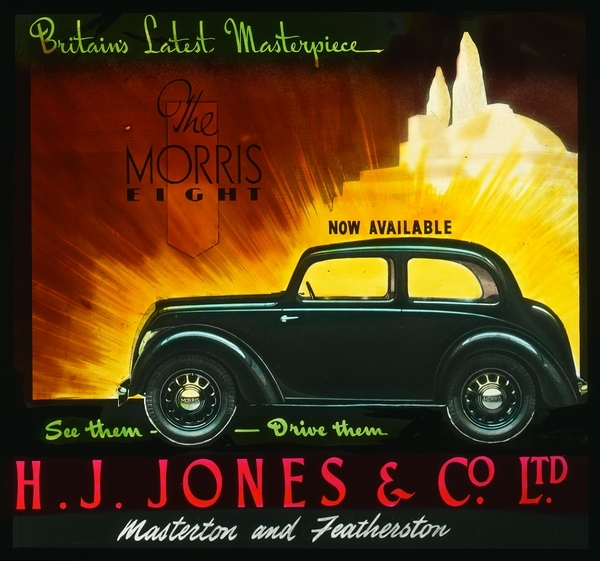 Promotional slide showing the Morris Eight E series car with the Masterton agents H.J. Jones & Co Ltd. This would be shown at local picture theatres.